Christmas is hands down my favorite season of the year. My excitement begins to build the second I see that first store display, even if it is early October. As an interior designer, I love to experiment each year with my decorations and play off of current trends in color and material. Last year, we moved into a new home which gave me a new blank canvas to experiment with. I believe that the decorations shouldn’t be focused to one area but have several interesting points to move the eye around each room. As I prepare to decorate this year, I have decided the theme of the main tree will be a bold navy and white. 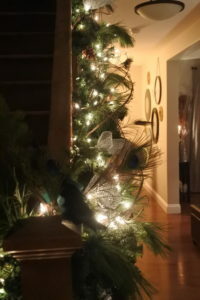 I usually have several different sized trees throughout the house as well. It seems my inventory keeps growing because I don’t usually have the same theme year over year. I source my decorations from many places and sometimes work from one key statement piece if I find something that I love. 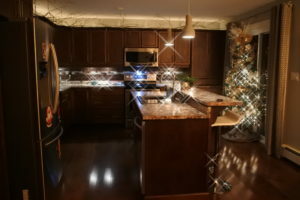 I usually start to decorate around the second week in November and it takes about a week to complete. 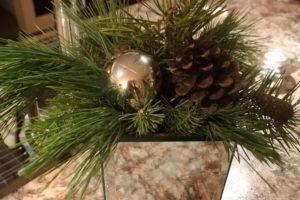 I like to incorporate fresh greens and work them from the outdoors, with large urns, to the inside on the fireplace mantel and stairway bannister. 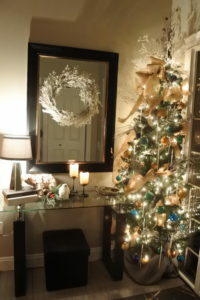 This year, I am so excited to share my love for Christmas with my clients. I have developed specialized Christmas Decorating packages to suit every budget. I have met so many people who don’t have the time or ability to commit hours to decorating, but would love to enjoy the Christmas ambiance. If you want to get in the Christmas spirit, stay tuned to my blog over the next several weeks to follow the decorating journey in my home as well as some of my clients.